Have you guys ever come over the brand Corine de Farm? Hence, it minimizes any chances of irritation or inflammation to the skin and so it is highly recommended for sensitive skin. Moreover, all the products are formulated in their own laboratories with quality control on production from beginning to finish. 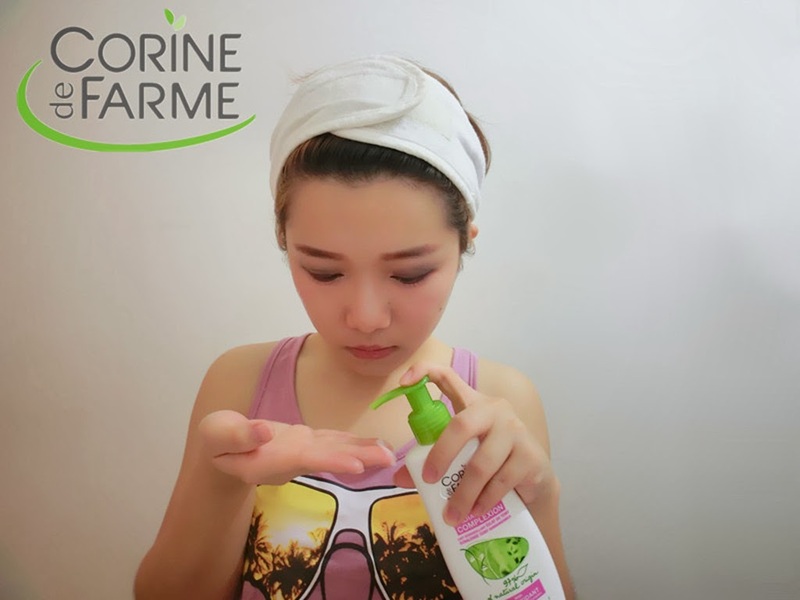 In this post, I've started off with a simple review on Corine de Farme Make up Remover and its Rose Water. A 97% of Natural Origin Product. The main ingredients are Litchiderm which has brightening and age-fighting properties. Besides, it consists of Camelia Oil, White tea Extracts and Cranberry seeds which has a stronger antioxidant properties than Vitamin E. It also contains of vegetal glycerin which is a strong moisturizing agent. It's a lotion in white creamy texture. It comes with a bit of lychee and floral scent, leaving it with refreshing scent. 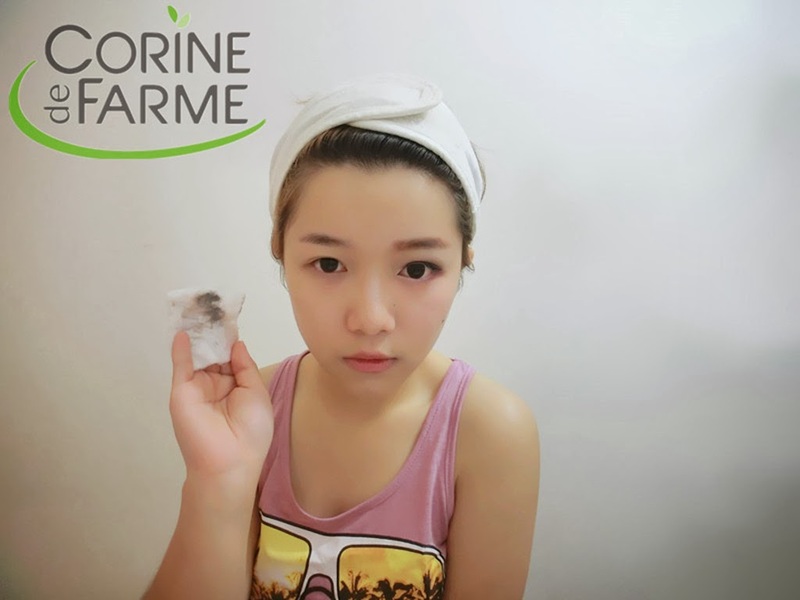 It's a make up remover which can effectively removes even waterproof make up with moisturizing properties, leaving us with fresh glowing skin. 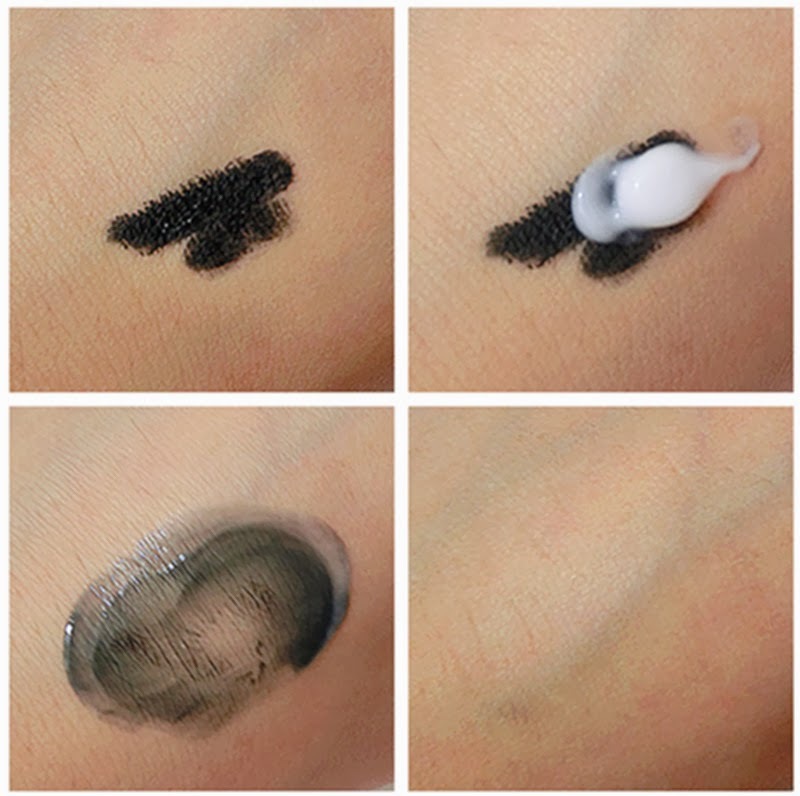 So before applying it on my face, I have done a mini testing on my hand to test its efficiency on waterproof gel eyeliner. I have done a simple test on my face and lets see how it works step by step! After a long day of make up and it's kinda troublesome for me to remove my make up part by part, starts from eyes to lips and the overall face. 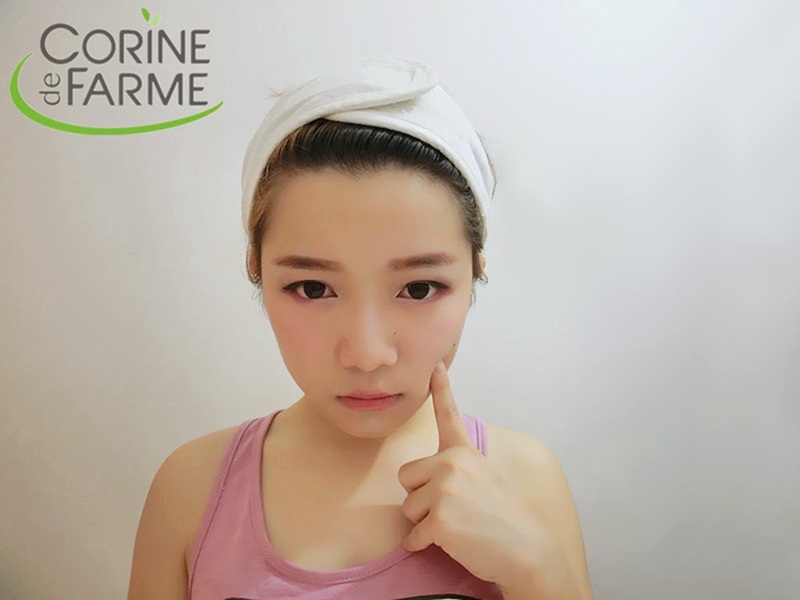 So, with Corine de Farme Make Up Remover, it brings a lot of conveniences for me. Apply a doze of the make up remover lotion on finger tips. Gently apply it on your whole face and even neck. Then rub it over the face in circular motion, make sure that you're not too harsh to your skin. Lastly, remove all the impurities with a cotton pad. Instantly you can feel the cleanliness with no stickiness and no greasiness. After all you can rinse off with water if you want. 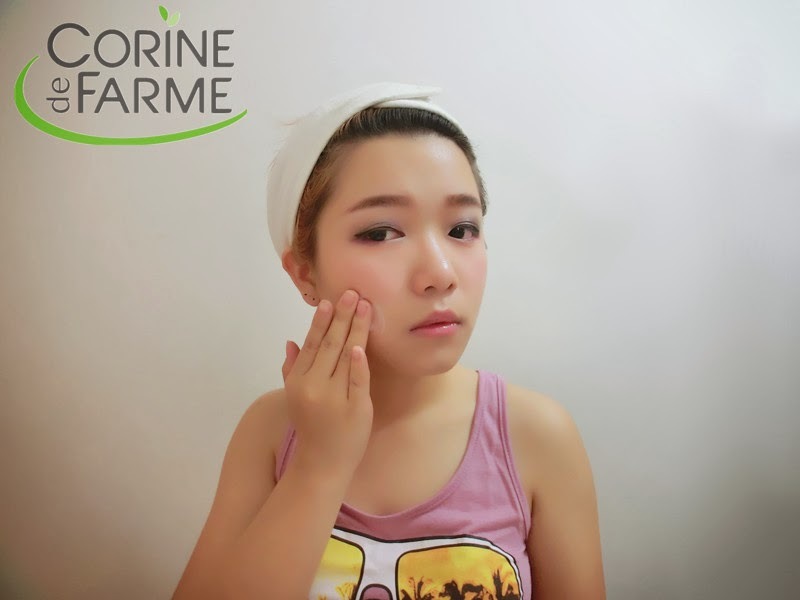 But I usually apply Corine de Farme Rose Water after that as it keeps my skin with more hydration and comfortable feeling. See how things work in easier way. All-in-one LOL. It's is so effective that even waterproof mascara and eyeliner can be removed without doubt. A 99% of Natural Origin Product. It comes with an ancient recipe which originated from Bulgaria, the Rose of Damascus. The Rise of Damascus is renowned for its delicate fragrance and its refreshing and softness properties. Besides, it is enriched with natural bisabolol and sodium PCA for soothing and moisturizing properties respectively. It can be used as a toner or moisturizer it self. Besides, it can be used as a base before applying sun block or make up to enhance moisture in epidermis. 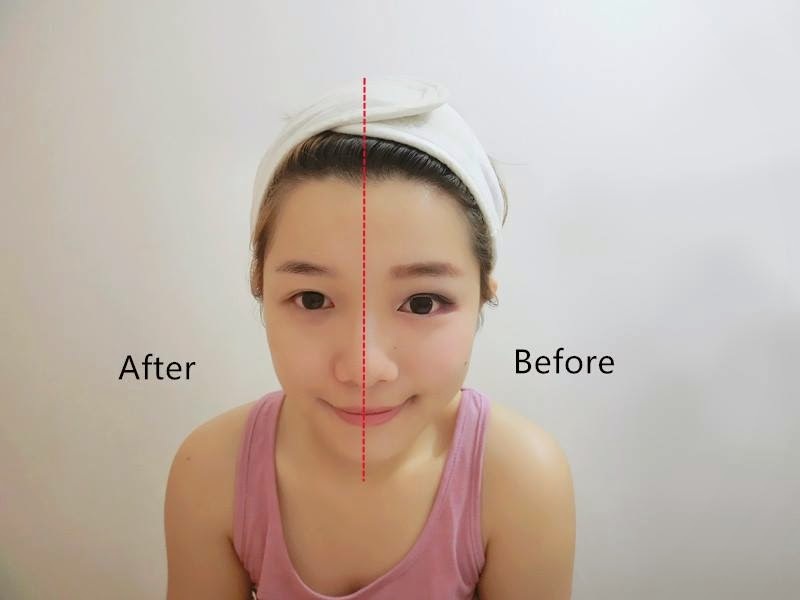 It can also used to remove any traces of impurities. You can even apply compresses soaked in rose water on tired eyes. *All range of products are widely sell in pharmacies, retail stores and supermarkets. Stooping by from the Beauty Blogger Group to say hi! Great info. I need to try this product out! I guess you put wrong side on your "before" and "after"